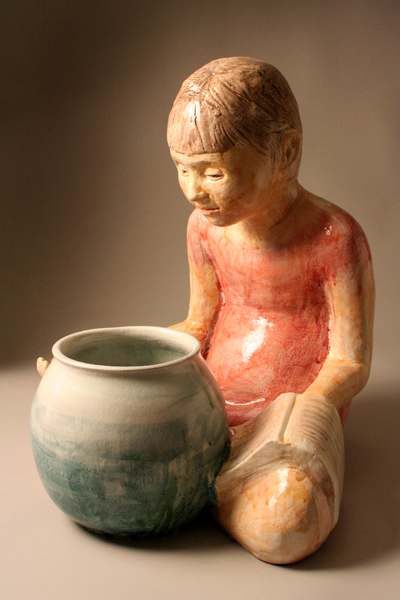 After receiving a BFA in Ceramics at Maryland Institute College of Art, Rose Siglin moved to Florence, Italy for six years where she worked as an instructor, studio artist, and led a number of tile mural and textile projects in the community — engaging others in art-making and conversations of the soul. Seeking an authentic consistency of heart, mind, and actions, her creations must inevitably include the infusion of spiritual truth and discovery. Throughout the last ten years these works have been figurative narratives that represent a focused investigation of the Christian faith and its presence in her life. More recent works created for reflection are intrinsically inspired by a lifelong personal transformation. They discuss the process of renewal and rebirth as she collects old objects and gives them a new life with the incorporation of sculpted porcelain elements. Rose is a resident artist at Farmstead Arts. Sign up to receive news about upcoming ARTsee Events.